VIDEO: Gazza ft. Davido – Kuna M’kweni (Remix) Award-winning Namibian act, Gazza features Nigeria’s very own high-flying singer Davido on the remix to “Kuna M’Kweni“. Listen, watch and download below. Good to see foreign stars coming to Lagos to shoot videos with Nigerian directors. That’s how it should be! Directed by Unlimited L.A. ANTICIPATE!! 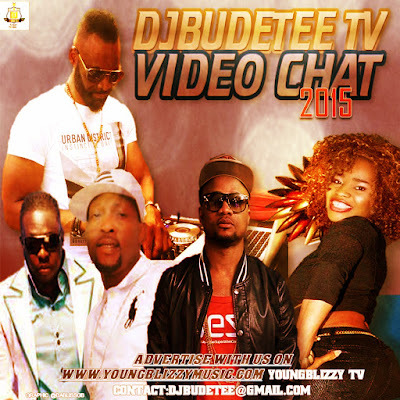 :DJBUDETEE TV VIDEO CHAT 2015 DROPPING SOON..
“The super talented Made Men Music Group artiste Selebobo churns out a brand new single titled ‘Wumewu‘. Selebobo showcases his talent and ability to switch his style with this catchy Highlife tune, which he flawlessly delivers lyrically on the beat. A 9ice-ID Cabasa combo is one that’s guaranteed to work 11 out of 10 times. It’s one of the unwritten laws of Nigerian music. Here’s another evidence of this fact: Ogara. If you haven’t heard “Ogara” before, listen to it below, then proceed to watch the video. That 9ice album is already looking like a must-buy. Directed by Alexander The Great. “Leslie Oputa aka LezleeSingz, born August 17, is from Imo state, Nigeria. His style of music is a unique blend of Afro and Patua. After a successful release of his two singles early this year, Mr John and For The Area, Lezleesingz teams up with Cynthia Morgan on this outstanding effort of a song, titled – ‘Wantin‘, produced by HydroBeats. The Video was directed by Ehison Films and shot in Lagos. Wiser is a brilliant song off Flavour‘s recently release “Thankful” album which talks about the deception some women put men through even after the man has giving them everything. The video was shoot and directed by ace video director – Clarence Peters. “Naija Ninjas artiste KARMA, real name – Olumide Harding, drops the visuals to his latest single titled ‘Islander‘ featuring Olamide of Ybnl.